Everyone knows the slogan: “Reduce, Reuse, Recycle.” But not everywhere you go or everywhere you live will have established recycling practices. This can be tough for environmentally conscious people. But, in our day, it’s not the final word on whether you recycle. If you find yourself in an apartment community that doesn’t recycle, here are some tips for getting on track. The first step to recycling is finding a place to recycle. 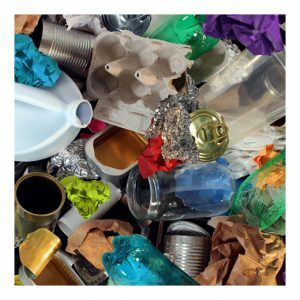 Earth911.Com lists recycling centers near you. You can even search for centers by material type. It’s one of North America’s largest recycling databases, containing over 350 materials and 100,000+ listings. You’re bound to find a recycling center near you. It’s easiest to recycle when you purchase separate bins or trash cans for different material types. Unless you can find a recycling center that will take most, if not everything, you will recycle at your home, you’ll need more than one bin. Labeling bins will be helpful to your guests and will prevent mixing materials that can’t be recycled together. Your neighbors might be interested in joining your recycling endeavor. Ask around. Maybe you can set up a system that works for your neighbors too. This will definitely cut costs: purchase a community bin and carpool to the recycling center. Create a rotating schedule so that nobody has to take trips to the recycling center often. Don’t forget the rest of the slogan. Recycling, though a very important part of going green, is only one step in the process. A more mindful approach involves reducing consumption and reusing what you can. Plastic water bottles and gas station coffee cups are a few of the easiest products to reduce your consumption of. Simply buy a ten dollar water bottle, or a ten dollar coffee mug, and you’ll be set for thousands of refills. Think of all the landfill space you’ll save. You’ll also save quite a bit of money from not purchasing those 24 packs of water. If you have hard water at your home, or if your faucet water doesn’t taste good to you, for the price of three 24 packs of water you can purchase a filter that will last months. A good water filter is another way to reduce consumption. A few tricks can also put you in a place to reuse water. For instance, when ice melts, simply use it to give to your pets or water your plants. You can also water your plants with that water you drain from your pasta. As the population continues to grow and technology improves, the need to recycle will become more and more urgent. Establishing recycling practices now will ensure that you’ll be ahead of the curve. But it will also mean that you have provided a better place for future generations to live. Everything you use is somewhere: things don’t disappear because they are put in the trash. Remember to reduce, reuse, and recycle. The post How to Recycle When Your Apartment Community Doesn’t appeared first on Apartments For Us.